A new 35,000 square foot art park has opened up in the heart of Arts District in downtown Los Angeles. 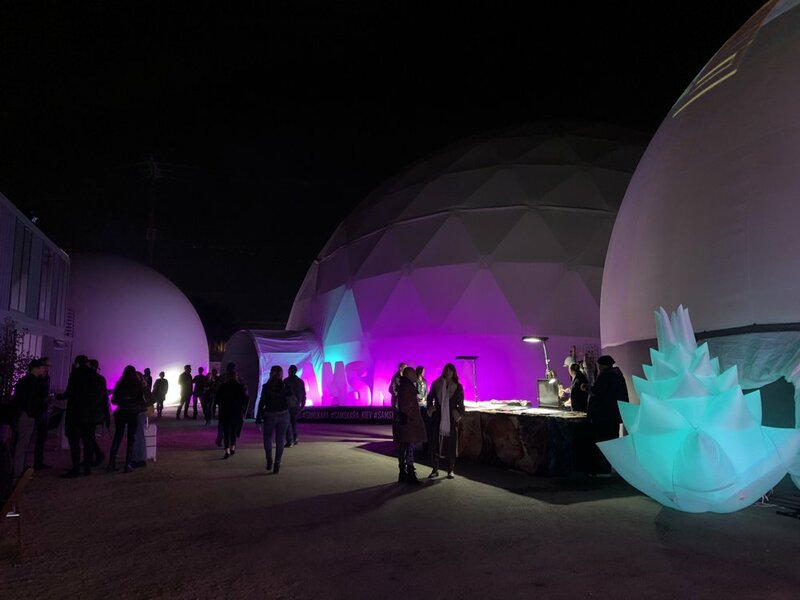 It’s the world’s first fully immersive entertainment art park and the massive location also includes five fully immersive, 360-degree domes outfitted with 10.1 surround sound to create a shared VR experience that combines art, entertainment and technology. A centerpiece of the art exhibition is the visual journey known as Samskara from renowned digital artist Android Jones. The art park will include over 70 works from Android in 9 different formats, including digital canvases, Microdose VR, dynamic sculptures, shows, live performances and a spherical movie theater. This will be the largest showcase of his work to date and will space 30,000 feet of the space. With Samskara, Android Jones and the Wisdome team seek to take the viewer out of the role of the art observer by placing them literally inside of what is happening. Samskara offers an opportunity to witness how the artist created the images and even a chance to participate in the process of creation. The stunning visual experience has been a staple of Burning Man and is available to view in Los Angeles. More information about Wisdome Los Angeles can be found on their website. Wisdome is currently open from Thursday-Sunday, from 11am to 11pm and Friday and Saturday until midnight.